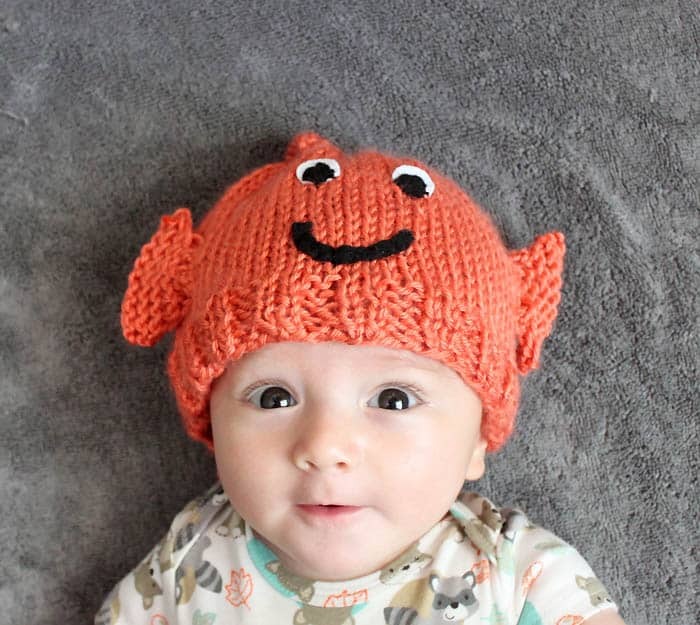 I wanted to make my little guy some knit hats for the cooler months. 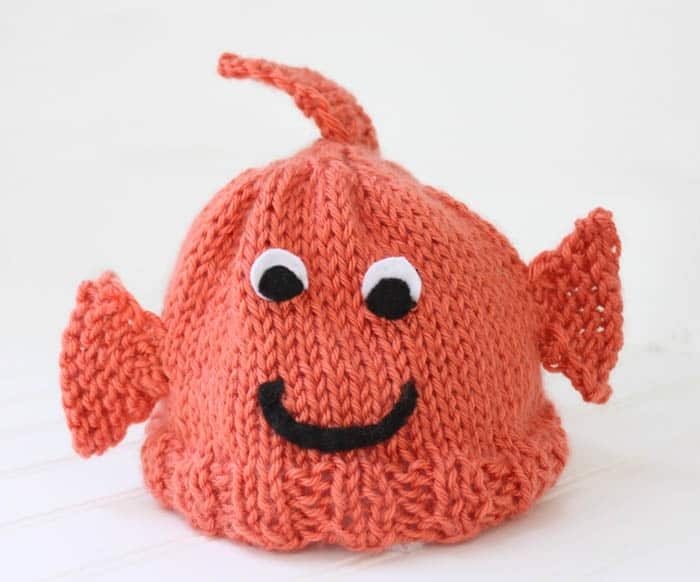 Instead of a regular pom pom hat, I thought it would be cute to knit him up him a goldfish one! 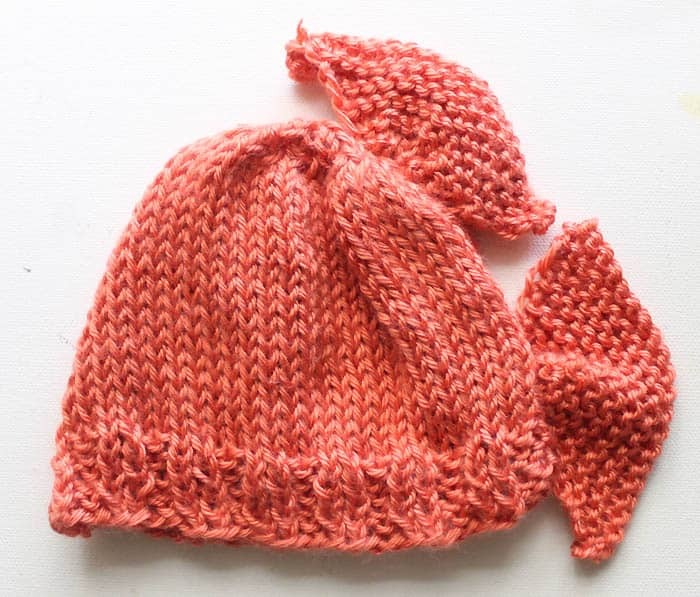 For the Hat: Cast on 60 (62,64) stitches. Work in K2, P2 ribbing for 1 1/4 inches. 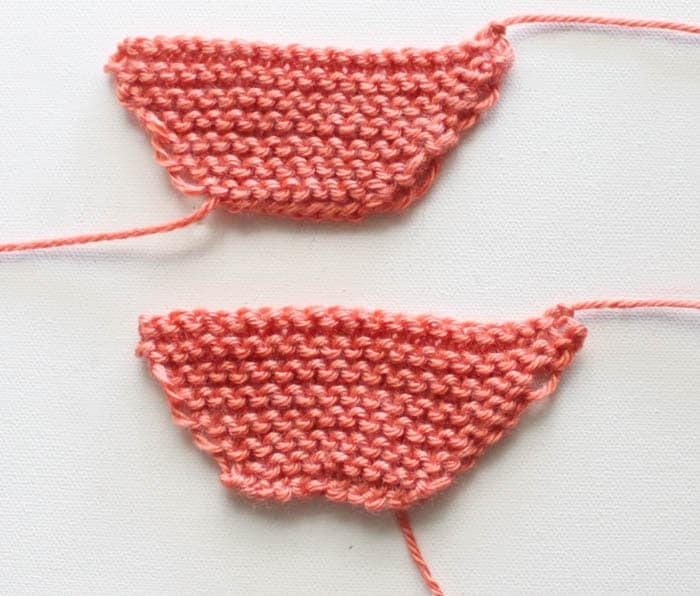 Switch to Stockinette stitch and knit until pieces measures 5 (5 1/4, 5 1/2) inches from the beginning. 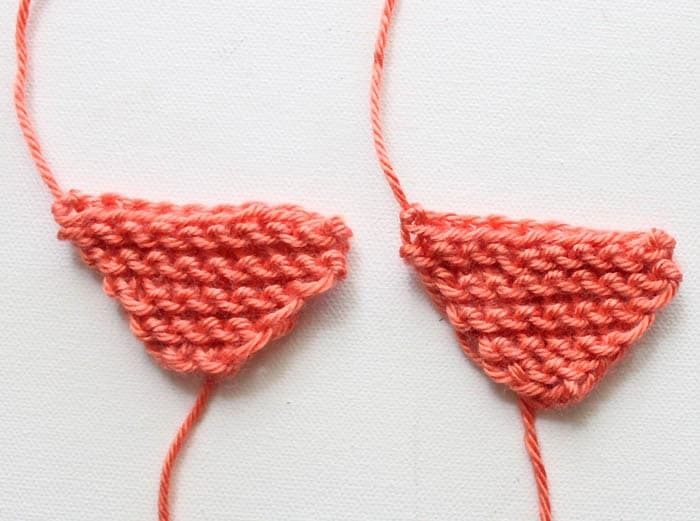 On the next Knit row: knit, knit 2 together, knit- repeat across row. Row 2: Purl. Row 3: Knit 2 together across the row. Row 4: Purl. Row 5: Knit 2 together across row. Row 6: Purl. 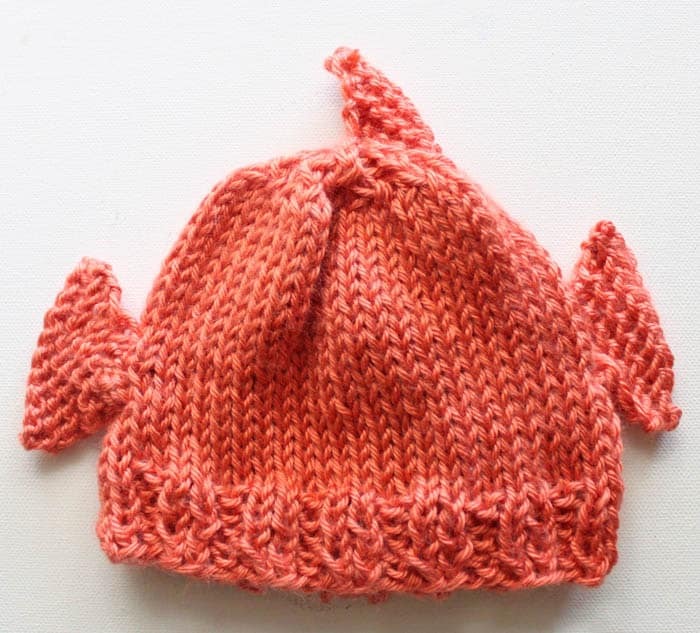 Row 7: Knit together across row. Cut yarn, leaving a long tail. Thread tail through stitches of last row and pull to secure. 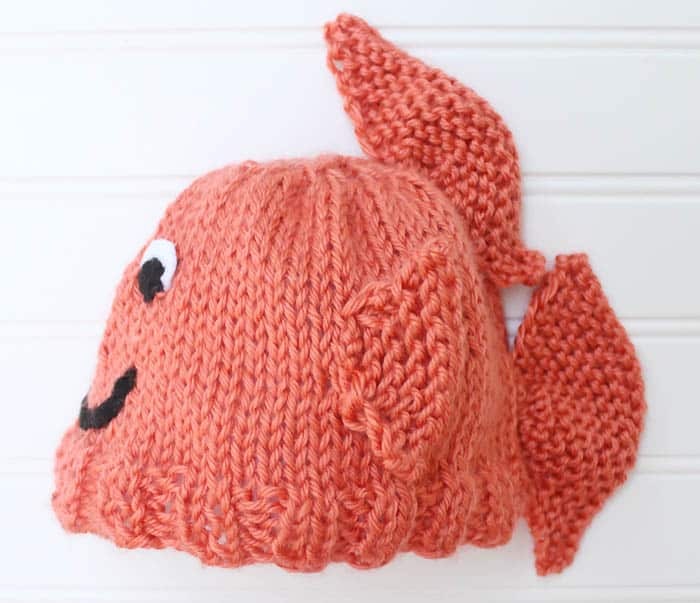 For the (back fins): Make 2. Cast on 10 stitches. Working in Garter stitch, increase 1 stitch at each beginning edge until you have 20 stitches. Knit 2 rows. Bind off. 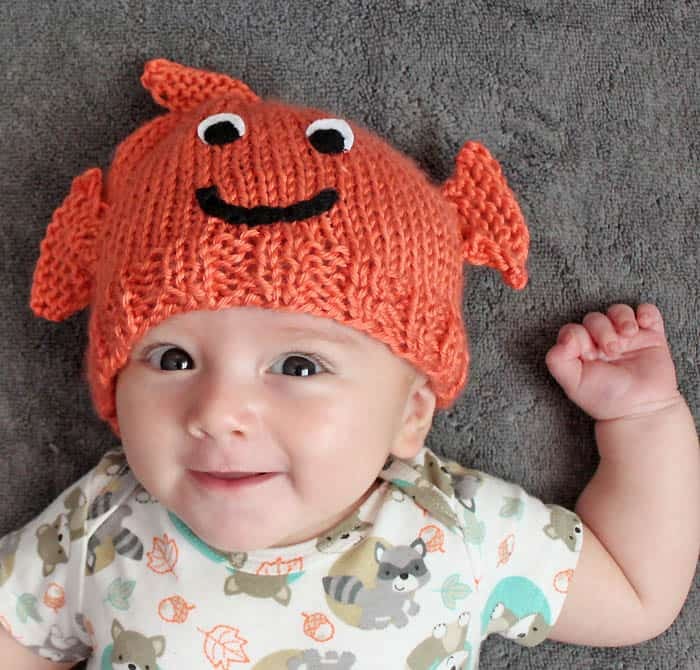 Gina, Thank you so very much for sharing your beautiful knitted patterns online. 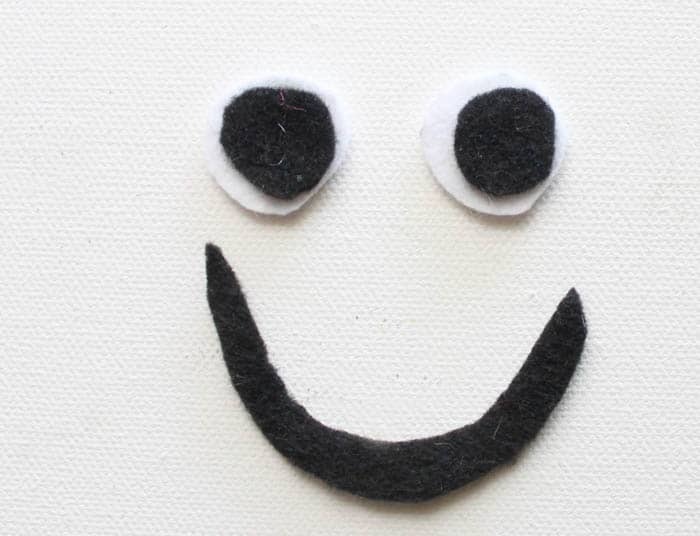 I love them all and plan to make several hats for babies in my family. They are all so adorable,and I appreciate the time you must spend on sharing your directions.